At the end of the last year I learned about the VRT Startup. 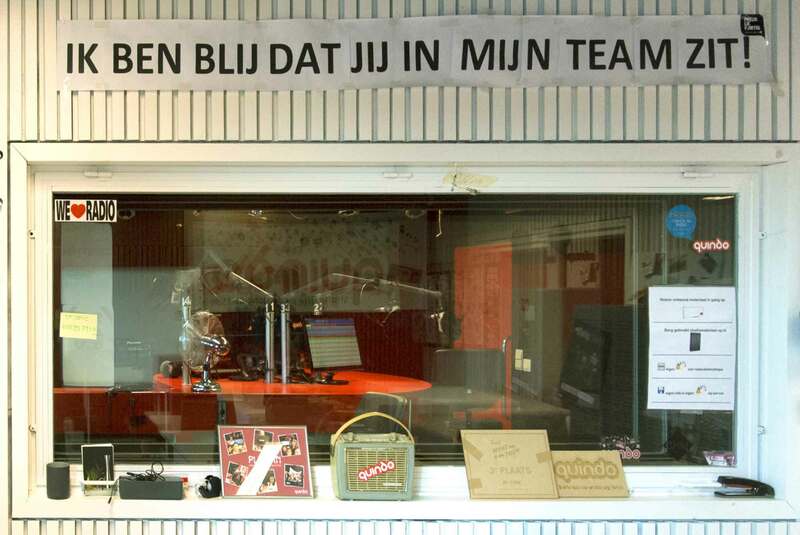 It’s an independent team inside the Vlaamse Radio en Televisieomroeporganisatie, with their own way of doing things. Their goal is to put the public broadcaster in Flanders “front and centric again in the lives of people who have grown with the Internet”. They want to provide the YouTube generation with new digital content and formats. VRT Startup has its own diagnose for what’s happening with this generation:Young people want to enjoy media at their own pace and in their own environment. And VRT cannot fall behind and risk loosing connection with their audience, they say. So they have come to the conclusion that they need to change the way they think, their language and their processes. They need to experiment. VRT Startup applies Lean Startup methodology. They turn their ideas into simple prototypes that are later presented to a target audience. From the feedback they get, they learn as quickly as possible and respond withadjustments. That’s the process they keep on repeating until a new finished product emerges, they explain. Build, measure, learn. And iterate. They use this methodology in everything they develop: new digital content, new formats and new products. 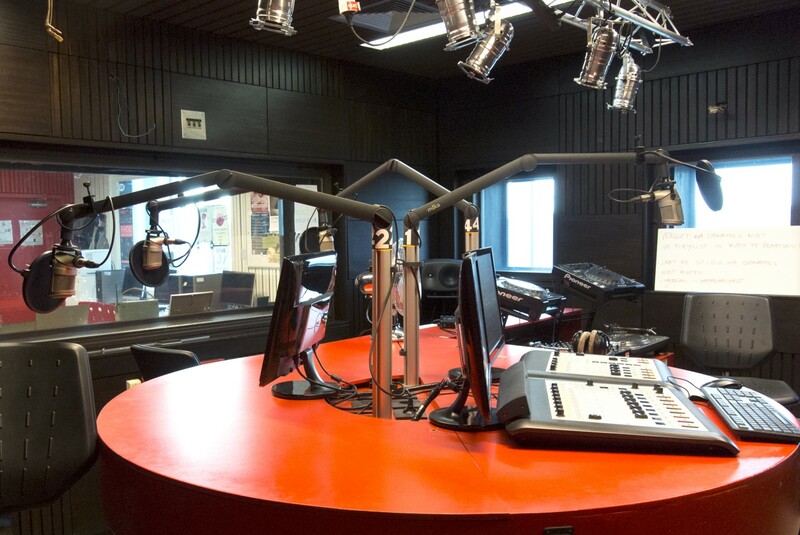 REC Radio Centrum is the association of community radio stations in Flanders. They describe radio as media based on -but not limited to- the application of audio. Their mission is to create opportunities in radio and in media and help to develop the talent of those interested in media. The organisation is actually a network of medialabs. Three words describe this initiative: multidisciplinary, educative and voluntary. Most of the staff behind REC and the medialabs is formed by volunteers and social workers. The social factor at REC is principal. They make media accesible to those interested in creating content (journalists, musicians, presenters, photographers, DJ’s, artists, software developers, etc) regardless their social, cultural or family context. Each medialab is located and focused on a different city in Flanders: Chasein Antwerp, Urgent in Gent, Quindo in Kortrijk, Villa Bota in Brugge, etc. The medialabs invite locals (and non locals, like expats) to learn by doing. Both VRT and REC have something in common: the need to break with conventional processes and methodologies. YouTube generation (using VRT label) doesn’t understand why content has to be distributed lineally (same content for everyone at the same time). Neither why text, audio and video needs to be separated. If young audience enjoys media on their own way, why should young future media professionals create content with “our” conventional methods? Build-measure-learn cycle, agile methodology, iterations… you name it.None of these (not even something as “basic” as freedom) is possible with fear to fail. Experimentation requires disposition to fail. Education as well. I had the opportunity to meet Tom Christiaens, coordinator at Quindo, a few weeks ago in Kortrijk. As soon as we started talking, we recognised a part of ourselves in each other: two professionals of broadcast media concerned by the absoluteprevention of risk in traditional media organisations. We, previous generations of media professionals, have much to teachthe younger ones. And much to learn from them. Change is constant. Improvement can/should be as well. Youngsters have a strong sense of community, tribal identity. And they are genuinely good at expressing that identity. We can train them to turn it into the most powerful way of engaging others like them. They hate looking, speaking and acting like everybody else. They hate that every radio station sounds the same. The word commercial gives them allergic reactions. I get that. But we can help them make the audience listen longer, tune in more often, and talk about their content to others. I said it before, I can’t repeat it enough: if young audience behaves differently, they should create differently too. Let’s encourage them tochallenge our conventions, and let’s learn from observation. I could keep going, but probably off topic. As a conclusion I will insist in this idea: experimentation and education requires disposition to fail. “Do things, fail and learn from it” is a principle applied both in VRT Startup and REC Medialabs. There’s no innovation without this mental shift. There is a question floating over this article that I cannot answer: Is Flemish media special? I mean, is there any reason why they seem to have that right mindset? If you can contribute your opinion or knowledge to answer this question, please do so. NextApple Music: A new revolutionary music ecosystem?